​​My goal as a piano instructor is to make sure all my students not only develop and consistently improve their technical piano and text reading skills, but also understand the ideas behind the music that they play, and what ideas and thoughts the composers are/were trying to convey through their music. Most importantly, I teach so my students ENJOY playing and studying music on the piano. Many of my students comment that music helped them during different situations in lives, even study for school tests. Graduate of Musical College in 1975 with Piano Performance Teaching and Piano Pedagogy Degree. ​I had begun my teaching career in Musical School in 1974, and continued teaching in Minnesota at the well-known Jan Erickson Music Studio until 2009 when the studio closed. 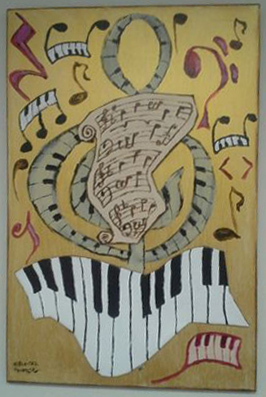 I have since opened my own studio and have been teaching as an independent piano instructor. Many of my students start taking piano lessons by age 5 and continue until they graduate from school and beyond. In the past, my students participated in various piano competitions and received high placements awards. "Irina has the best Music studio west of the Mississippi River !! !Natalie plays like a junior professional at age 11! Irina's intuition with kids is amazing.She was made to teach and it shows in the pieces her students play"
"We noticed a big difference in how our kids play piano after having lessons with Irina. " "Irina does not teach how to" play piano"-- she teaches children how to make music.She goes far beyond teaching how to find the right keys.Irina teaches her students to understand the feeling behind the music they playing and play from they hearts, because she teaches from her heart.Connor has been her student since before he started kindergarten.And even now ,with so many activities in high school,He would not dream of stopping lessons.Playing piano is important to him and learning from Irina has helped him in all of his musical pursuits.Irina is a wonderful teacher"